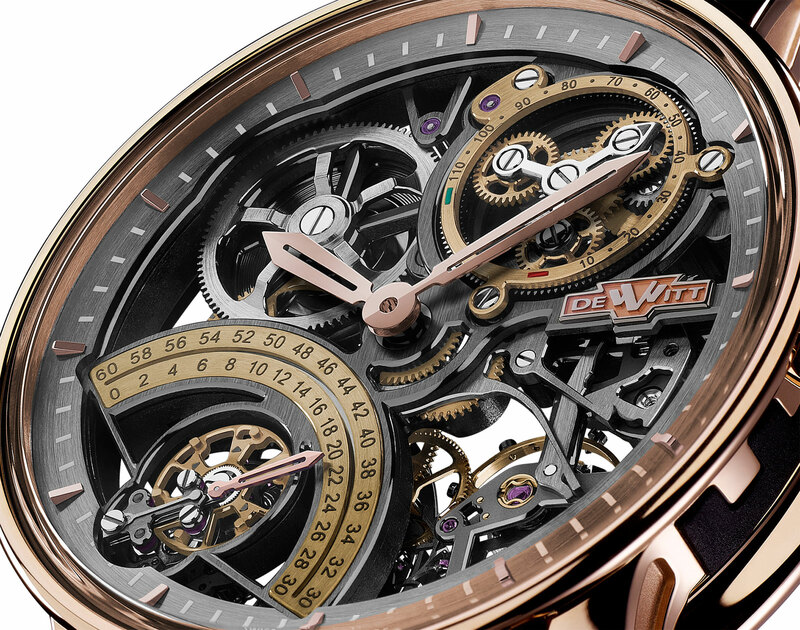 The latest from Geneva-based DeWitt is the Academia Skeleton, which boasts a truly novel seconds hand that travels in two different directions. 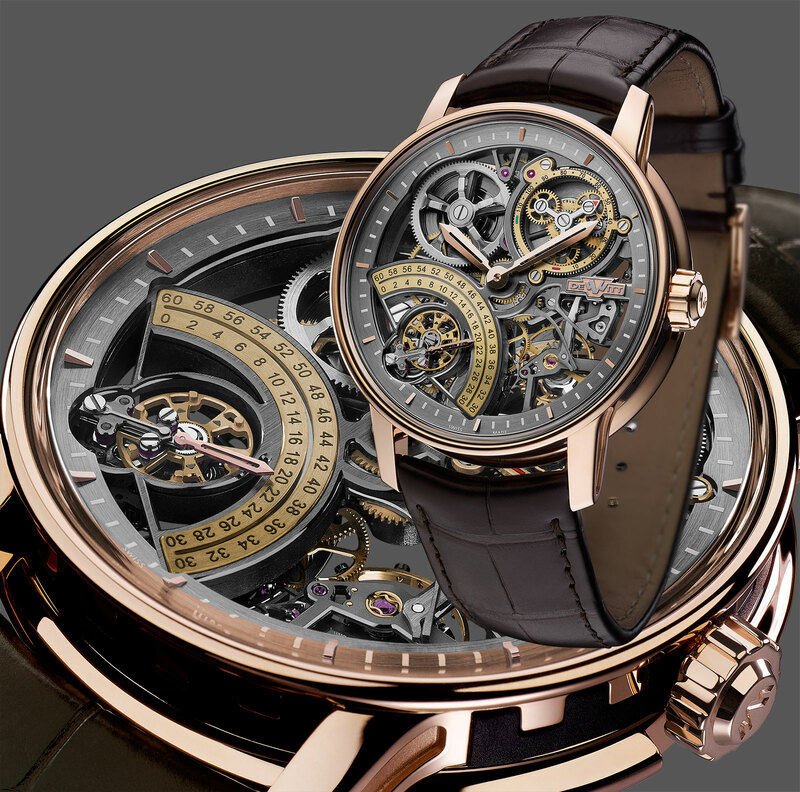 Powered by an in-house, hand-wound movement, the key feature of the Academia Skeleton is the seconds display at seven o’clock. The seconds hand points to the seconds on a large, fan-shaped scale running from zero to “60”. The seconds hand travels clockwise for the first 30 seconds of a minute, going from “0” to “30”, after which it jumps upwards to the upper seconds scale. Then the seconds hand reverses direction, going anticlockwise for the next 30 seconds of a minute, a feature DeWitt says is inspired by automobile windshield wipers. This reversing seconds is driven by two sets of gears, one for each direction. At the 30 second mark the seconds hand is instantaneously disconnected from one and engages with the other, allowing the hand to backpedal. The power reserve display at one o’clock is also unusual, with an arrow mounted on a set of planetary gears sitting on top of the barrel. 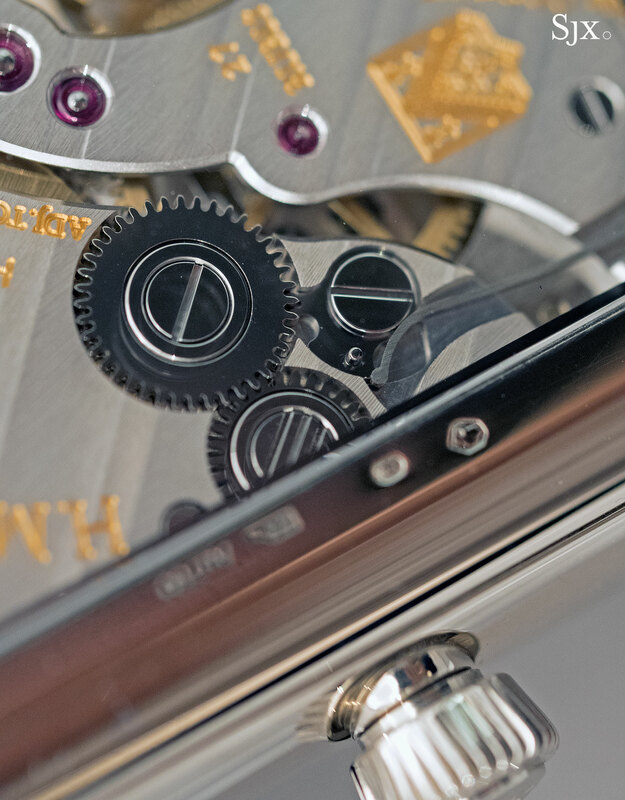 Twin barrels give the movement a 100-hour, or four day, power reserve. 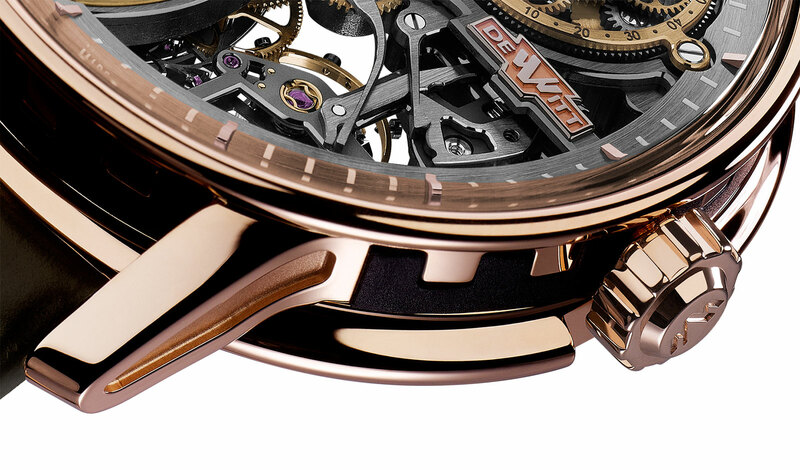 Most of the movement is skeletonised, with the bridges and base plate treated black for contrast with the case and hands that are in rose gold. The 42.5mm case is a new take on the Academia watch case, the signature form of DeWitt, best known for being founded by a descendant of Napoleon’s brother, Jérôme Bonaparte. Instead of the relief columns on the flanks of the case that characterised the original style, the new Academia case has rubber inserts on the case sides to simulate columns, giving it a more streamlined look. 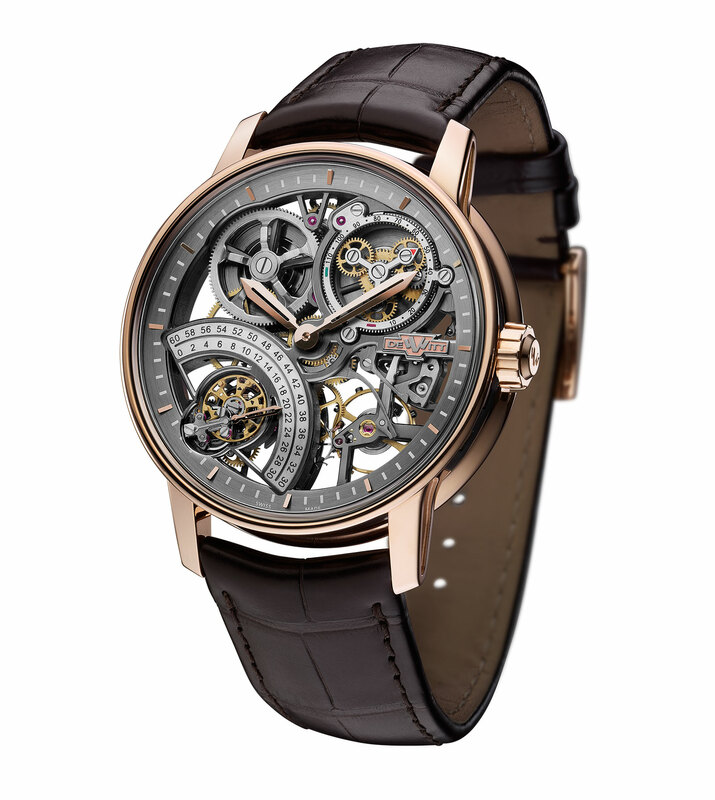 Available starting October 2016, the Academia Skeleton is priced at SFr78,000, equivalent to US$79,600. 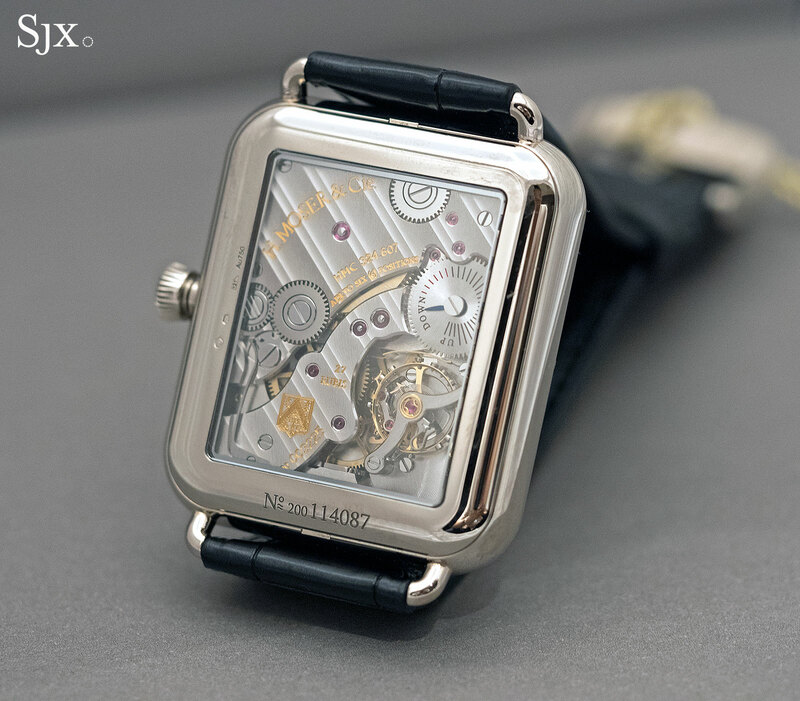 Moser‘s limited edition Swiss Alp Watch was a surprise hit when the Apple Watch twin made its debut in January 2016. Now that the original 50-piece run is sold out, Moser has introduced the Swiss Alp Watch S as part of the standard collection. The new Swiss Alp S retains the same oblong case that’s a largish 38.2mm in diameter and 44mm long. 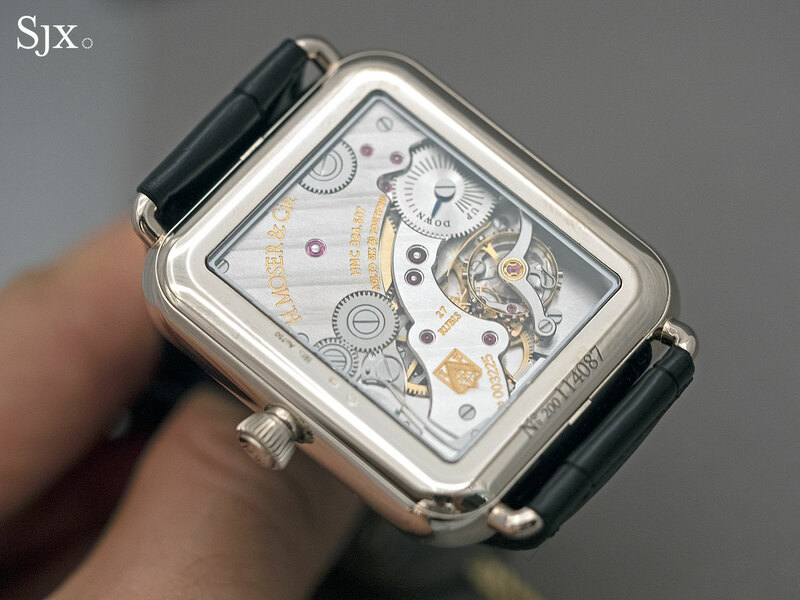 Hefty in the hand, the case is 18k white gold, with the same bevelled sapphire crystal that the Apple Watch has, though it has to be said the crystal on the Apple’s smartwatch fits with tighter tolerances. 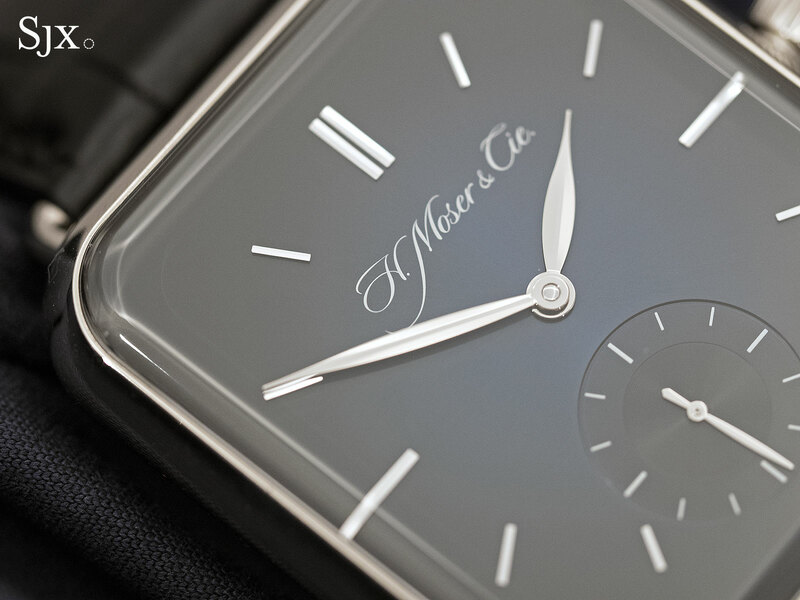 What’s different is the dial that sports a graduated blue tone known as fumé that’s become a trademark of sorts for Moser. Darker than the bright blue fumé found on the recent Funky Blue time-only and perpetual calendar watches, the blue fumé on the Swiss Alp S is muted and serious looking. While the design tries to be funny, the movement is admirably serious. 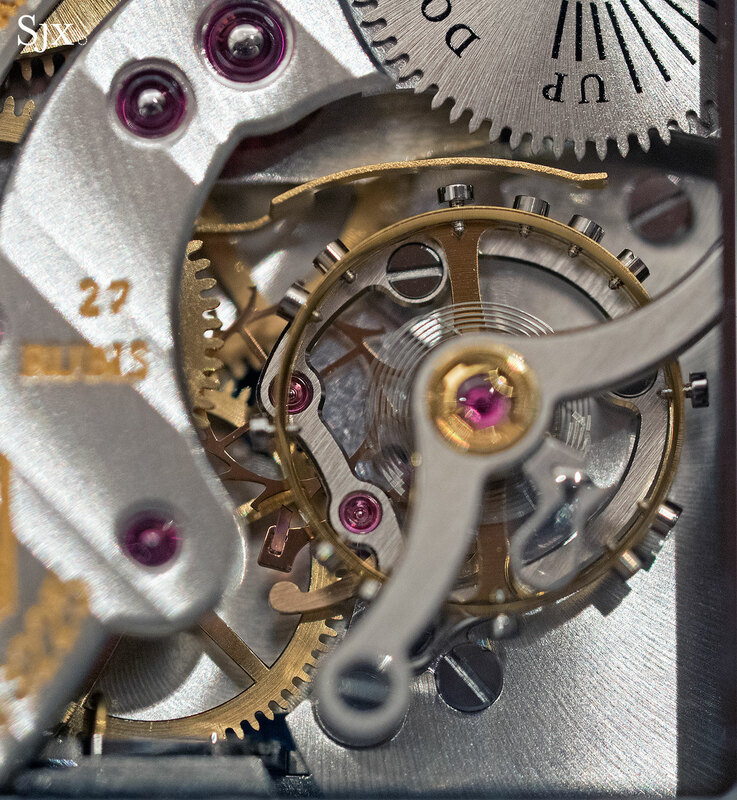 The calibre HMC 324 was originally developed for the unloved Henry, an inelegant watch named after Moser’s founder. The HMC 324 is a large form movement that’s tonneau-shaped, making it entirely appropriate for the watch case in shape and size. 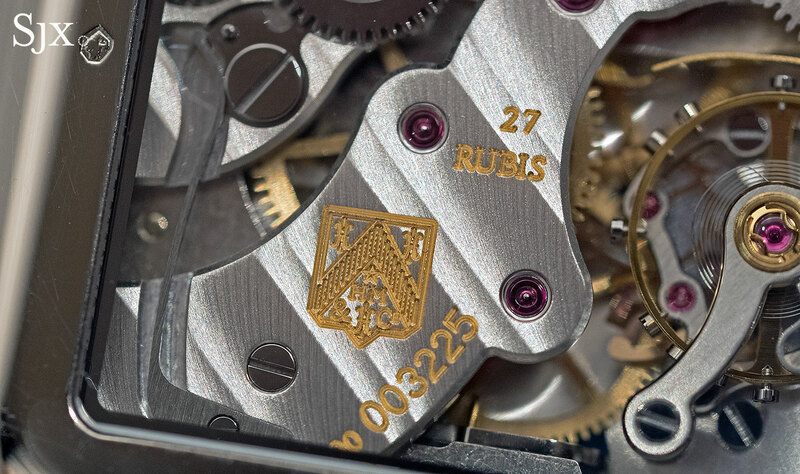 The movement shape is unusual in itself, but HMC 324 also features several other appealing details, including the long click spring for the winding ratchet as well as steel chatons for the jewels. 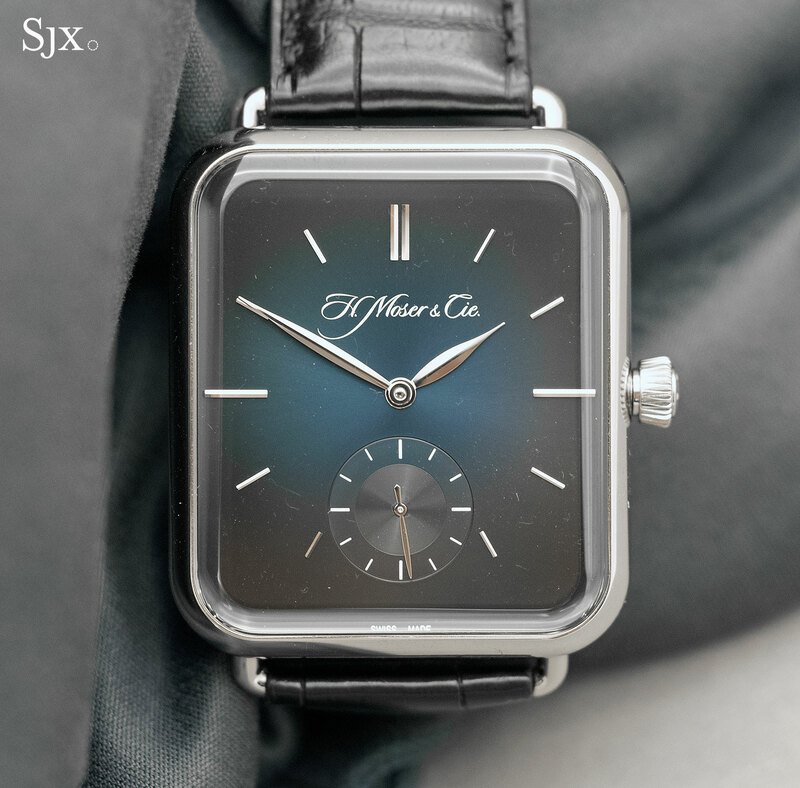 And the HMC 324 has a four day power reserve, indicated by a power reserve indicator on the back. A notable technical feature is the interchangeable escapement with the escape wheel and pallet fork made of hardened gold. This was designed to reduce turnaround times for overhauls, as the escapement module can be replaced for a freshly lubricated one. 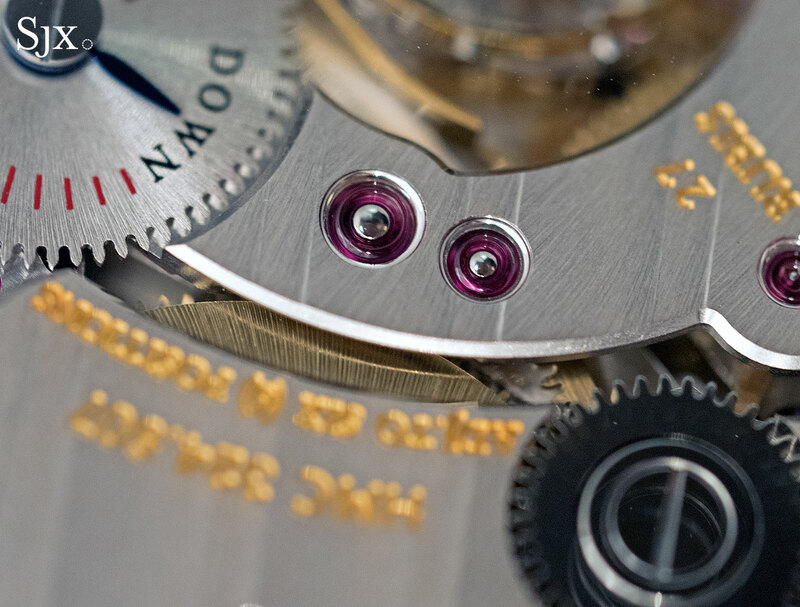 Like all Moser movements the HMC 324 is made in-house, right down to the Breguet overcoil hairspring that’s made by Precision Engineering, Moser’s sister company. The Swiss Alp S is priced at US$24,900, or S$38,640 including GST.